Follow the steps in this topic to export a CSV file that contains information about endpoints that need attention. The CSV file can be retained for future access and shared as needed. This functionality is available wherever the Export to CSV icon exists. 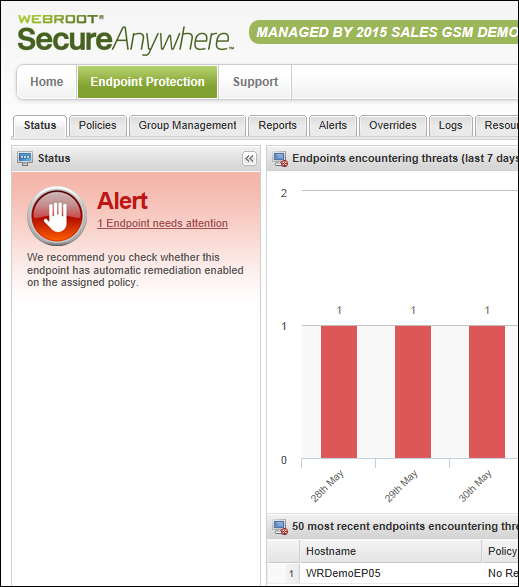 In Endpoint Protection, select the Status tab. 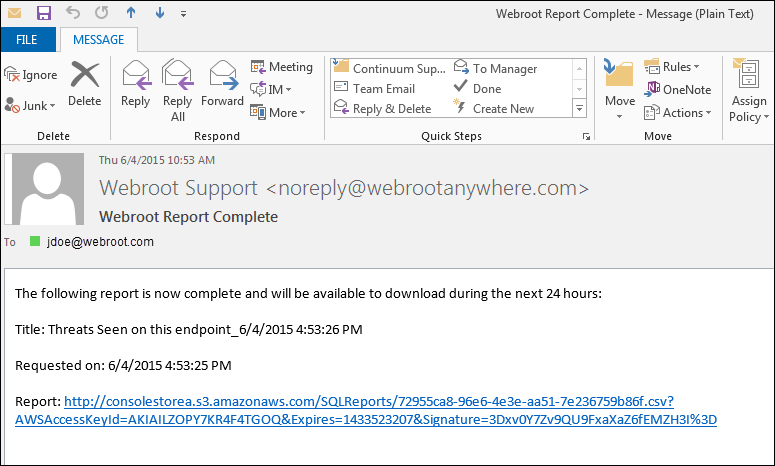 In the Status area, click the Endpoint needs attention link. The Endpoints needing attention window displays. To export information about Endpoints with threats, click the Export to CSV icon in the upper right corner. To export information about Threats seen on this endpoint, select an endpoing to populate the Threats seen on this endpoint area, then select the item you want, and click the Export to CSV icon. The system displays a message indicating that a you have requested a CSV file. To close the window, click the OK button. The system sends a link to the email address that you used to log in to the system. Click the link in the email to display the CSV file, which you can then save to your computer.